A friend recently recommended I give my two-year old a daily dose of organic elderberry syrup to boost his immunity. A naturopath had advised her of the wonders of elderberries in reducing the number of colds/coughs and other viral infections in both children and adults. I was about to take off for a long holiday to India, and was naturally concerned about keeping my child healthy and germ-free throughout our hectic trip. Black elderberry syrup (sambucus nigra) is a remedy that has been around for centuries in Europe. 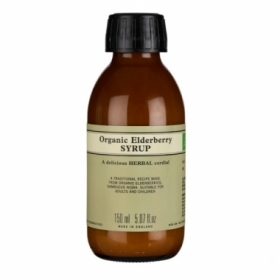 According to research, elderberry syrup is anti-viral, anti-inflammatory, rich in vitamin C and high in anti-oxidants. It is safe to use for adults and children over 12 months of age. I came across several recipes online for DIY Elderberry Syrup – organic elderberries simmered with cinnamon, ginger, cloves and other good stuff. Sounded delicious and there were many reviews raving about the effectiveness of this magical tonic. Luckily, bottled versions of elderberry syrup make it easy & convenient to get a daily dose of flu-fighters. Sambucol make multiple versions of black elderberry liquid with all the vitamins, minerals and zinc your body needs to stay healthy. 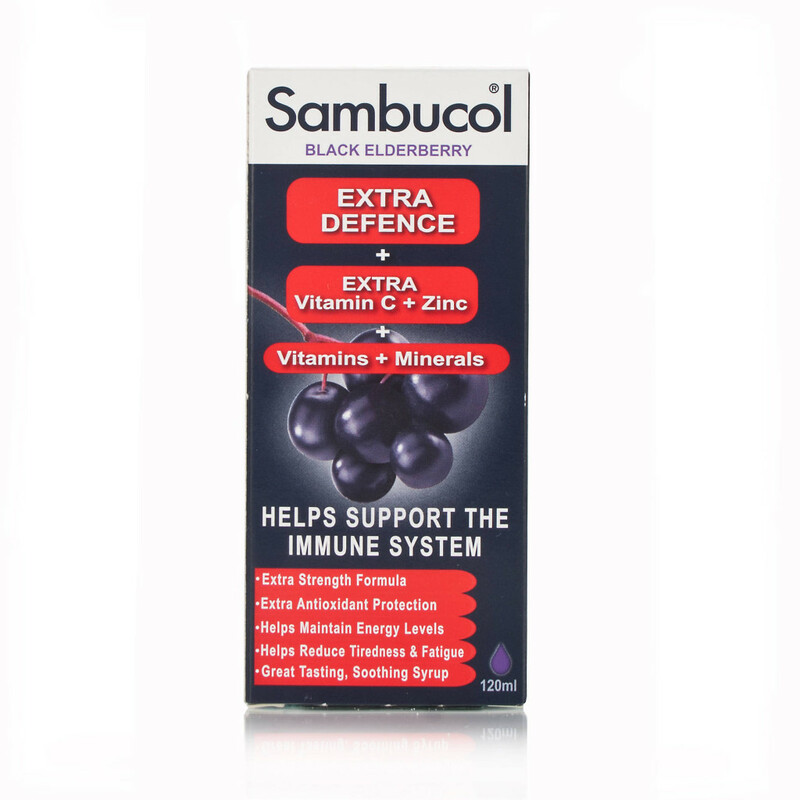 Sambucol is available over the counter at your local Boots or any health store. Neal’s Yard Remedies also make their own herbal cordial of delicious organic elderberries. My son and I have had this syrup for a few weeks now and so far, so good. I highly recommend giving this natural immunity booster a shot, especially if you have find yourself getting sick more often than not. Thanks for sharing it, It’s very effective, I have also used this syrup.